I am an experienced supply chain professional, self taught fitness expert, husband, and father. I have 9 years experience in supply chain and over 13 years in bodybuilding and fitness. A positive individual, I've been called "Coach Motivation" as I always look for the positives in every situation, and look to provide a guiding inspiration to help keep people going. By now, you have heard people absolutely bash Planet Fitness. Whether they are ragging on “Pizza Mondays”, “The lunk alarm”, or the purple and yellow equipment, people really seem to hate this place. 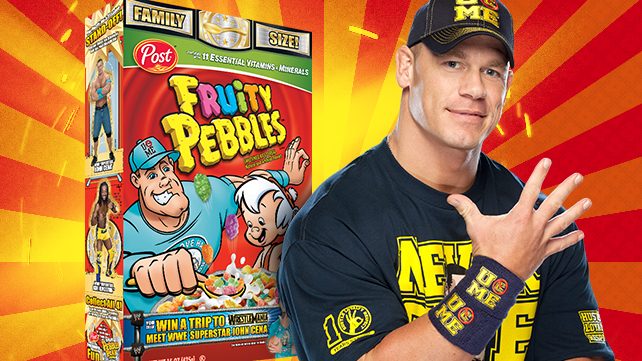 I’ve heard the commercials, talking about a “judgement free zone” where “lunks” are not allowed. I get how easy it is to make fun of this place because they chose to be different with their marketing and their slogan, when perhaps; they are really just making this a “douche free zone.” I’ve been lifting seriously since 2002; I’m 6’4, 255 lbs with 20 inch arms. I know from that description you probably immediately think “he’s a lunk.” I am also a personal trainer in Wichita, Kansas which is known as “the mecca” of YMCA facilities. The facilities are amazing, sprawling thousands of square feet with innumerous amounts of machines, free weights, squat racks, swimming pools, each one a first class facility. While literally thousands of people come through these facilities every day, hundreds to the weight room, I have to observe people using the worst form, I have to constantly tell people not to drop the weights, I hear the weirdest sounds of people grunting, squealing, and whining, instead of breathing correctly. I can tell you, if you don’t want to go to planet fitness because you can’t do these three things, you probably shouldn’t be in any gym until you correct yourself. Chances are, you are lifting too much weight, using incorrect form while using that weight, and making minimal gains. In my opinion, “lunk” is a kind word, douche is more appropriate and every gym should have an alarm! First they should have an introduction to the weight room video you watch before you are allowed in! Note: If you are a true bodybuilder, powerlifter, or serious athlete and you use correct form and truly need heavy weight, Planet Fitness is not meant for you and that’s OKAY. However, you don’t have to hate because you think they called you a “Lunk.” You are not a lunk. Look, unless you are a powerlifter, you shouldn’t be doing any less than 8 repetitions. Anyone can argue with me to the cows come home on this one, but the fact is, when building muscle, you want to focus on the concentric and eccentric motion of the lift, and the time under tension. If you didn’t comprehend what concentric and eccentric motions are, then you probably should go ahead and stop hating planet fitness now and start educating yourself. I don’t know how many times, high school age people would come into the gym, load the bar or machine up, let the weight come crashing down, only to use every muscle but the one being worked to get the weight up. Then, after making the sounds of a dying Spartan warrior, they leave without racking their weights. Ego lifting doesn’t get you big muscles, and it won’t get you the girl wearing the yoga pants who is doing endless Romanian deadlifts in front of the mirrors, in front of everyone either. Look, I get those 90 lb dumbbells are heavy, but, unless your name is Ronnie Coleman, 8-time Mr. Olympia, or Brian Shaw, 2 time world’s strongest man, and you are using 200 lb dumbbells working out in your own garage gym, or the Metroflex in Arlington, Texas, you shouldn’t be dropping the dumbbells. When finishing a set of dumbbell presses, if you can’t sit up and bring them to your knees and set them on the floor, you need to be using less weight. Not only are you endangering people around you, you are loosening the dumbbells making them dangers and unstable for others to use. If you focused on lowering the weight with control and contracting the muscle on the way up, you will get a better pump, tear down more muscle fibers, and maximize gains all the while not being a “lunk” and sending a thunderous roll of “look at how strong I am” through the gym. Now, I haven’t met anyone that was really intimidating at the gym. In fact, the biggest guys in the gym have always been the nicest, often offering advice, a spot, or just a laugh. They also typically use the correct form, don’t drop the weights, and re-rack their heavy weights. If you do run into someone who is big, makes rude remarks at people that are not his friends, takes weight from other people without asking, or laughs at you, this person is a douche and should not be allowed in a weight room. 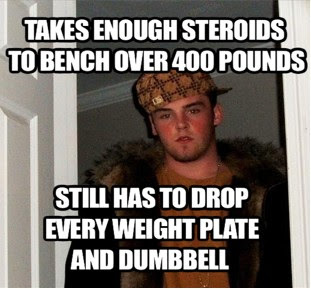 I have yet to encounter a gym bully in the 13 plus years I have been lifting. However, if you are intimidated by people with muscular physiques, that work out hard, and lift heavy weights correctly, then you are for sure the problem, not them. This entry was posted in bodybuilding, crossfit, exercise, fitness, health, remedies, supplements, vitamins and tagged bodybuilding, crossfit, diet, exercise, fitness, gym, health, nutrition, planetfitness, powerlifting on February 25, 2015 by bigdanmccarthy. My motivation for writing this blog today, on February 24, 2015, was an episode of “My 600lb life” on TLC. When I first started watching the episode, I was sitting down; I’ve seen the situation all too many times, a person continuously putting the wrong type of foods in their mouth causing them to gain weight. As a personal trainer, I began to look at the food and add up the calories, and then I took into account non-active lifestyle, coupled with adopted attitude of “I don’t care,” a phrase often thrown out to mask the person’s inability to admit the health risk of obesity. Those who are overweight, obese, use the “I don’t care, this is who I am” as a way to shun those who look at it from a purely vane aspect rather than a life threating danger. The fact is, being overweight can bring on a slew of health issues, from high cholesterol, high blood pressure, or type 2 diabetes, heart disease just to name a few. So as I began to further watch the episode, I found myself standing, I had already solved the diet issue, obviously the exercise would be minimal as she was so large, anything more than some arm movements and walking from one side of the room to the other might not only discourage her already weak mindset, it may cause intense pain or even worse, a heart attack. However, let’s go! I’ve solved this! I can help this lady! Then as I was watching, she entered the grocery store, sat down and began to cry, her mother at her side, she began to talk about how hard it was for her to move, how it made her sad, how it made her scared, then after catching her breath, they proceeded in filling the grocery cart with chips, cakes, pies, and anything else that would contribute to pushing oneself further into the void. It was at this point I realized, she didn’t need a trainer, she needed a therapist. Someone who could help her find that motivation, to help her realize she hadn’t reached the point of no return. When you think about it, the point of no return means the person has come to the conclusion that the distance to return to a healthy state is much farther than it is to keep going and face what could be their ultimate fear: death. So how can a personal trainer play the role of both a therapist and physical coach when approached by someone who is looking to make a change? In the above question I said “looking” because looking and “wanting” are two completely different things. If I am looking at getting a new car, I haven’t bought in, but if I want a car, I am already sold and want to take it off the lot. So how can you have someone want to make a change rather than someone who is “forced” to make a change? Well, anyone can have you run on the treadmill, show you how to lift weights, make you do endless push-ups, until you want to turn right around and head back to that couch or that buffet that put you where you were, because that’s your comfort zone. The food is what you know, the buffet, or junk food aisle is where you have been comfortable at, and eating it is therapeutic and has made you happy. However, the food is also what has made you where you are, uncomfortable, at risk for disease, or even worse, increasing your chance of death. A personal trainer must not look at an obese person from the outside only, they are not just body fat percentages, BMI charts, or measurements, they are people who are struggling with mental and emotional issues and are looking up this proverbial Mt. Everest of weight loss thinking, I’ll never get to the top! As a personal trainer, you must find that person’s source of motivation. “Why are you here?” or “What has motivated you to make the change?” If they tell you, “The doctor sent me” you must realize that they are in front of you under doctor’s orders, not because they have the positive motivational factors to make a change. Ask them questions like, “Do you have kids, do you have grandkids, do you want them to see them grow, or stay active with them? Tell me what it means to you to see that happen.” Or “When you were at your healthiest, didn’t you feel great? Wouldn’t you want to feel that way again? If so, tell my why you want to feel that way.” These are all powerful questions that will help you find that source of motivation to ignite the spark, to get them to realize, not only do I HAVE to do this, I WANT to do this! The effort someone will give you when they want something or desperately need something is ten times the effort someone will give you when they have to do something. Once you find their source of motivation, you can now turn that spark, into a fire by letting them know you will be there with them every step of the way, they will climb Mt. Everest one step at a time, setting small goals along the way, and nailing every one of them. Yes, you will fall at times, but you will get back up and keep moving forward, that’s with anything in life, but the ability to get back up lies within the person who falls. The person who is helping them can only offer encouragement, guidance, and lay out the plan. In order to succeed, you must truly know the motivating factor in the person seeking help. Have them right down that they are committed to succeed followed by their main motivational factor and constantly remind them of why they are making these changes. They have to believe passionately in their motivational factor in order for them to seek change. Changing the way someone looks at healthy eating and exercise is important, if they hate running and push-ups and that’s what you have them doing, they are more likely to fail. Finding something they can do that is fun for them and keeps them active is critical. Exercising and eating healthy should not be a punishment, but rather a valuable time in our day allowing us to relieve stress, improve our health, and extend our life. Once the negative views of the gym, exercise, and healthy foods are cleared and they are seen as things we get to do, to keep us out of the doctor’s office, out of the operating room, and out of the morgue, the motivation levels should continue to increase. When you are talking with a person who has not sought help, but they have expressed unhappiness with their current lifestyle, you must find out their fears of change. What makes them so scared to take that first step? Is their main fear simply the fear of not knowing where to start? Perhaps it’s the fear of being judged, or just the impossibility of climbing that mountain? It is the personal trainer’s role to bring out those feelings, to get them talking about their fears and relate with them on the fear of change. Talk to them about your experience with exercise, how you first came about trying something new, the fears you had, and some of the things you used to get going. When I first started lifting, I wanted to be big like Hulk Hogan, I was a 160 lb cross country runner and my end goal was looking like Hulk Hogan, a 300 lb beast with “24 inch pythons.” I was afraid everyone was going to look at me in the weight room like, “what’s this skinny kid doing in here?” I soon realized everyone in the weight room was there simply to better themselves, not to sit around and judge who was skinny, fat, or weak. I knew my goal wasn’t going to going to happen overnight, but after years of training, persistence, and commitment, I was able to get 21 inch arms, weigh 285 lbs, and bench press 525 lbs. People don’t believe me when I tell them, but when I let them know I have been down that road, even if my goals were completely different, they can relate to the struggle I had, and they can also see the mountain I had to climb. For you, perhaps it was the accountability of friends, the desire to want to get back to a size you used to be, the desire to attempt to lower your blood pressure or cholesterol without medication. Developing a rapport with someone through relating or understanding will certainly help them achieve a level of comfort, and allow them to open up and eventually commit to THEMSELVES that they want to make the change with their newfound motivation being the driving reason to change. This entry was posted in exercise, fitness, health, remedies, supplements, vitamins and tagged change, diabetes, exercise, fitness, gym, health, medicine, motivation, sales, weight loss on February 24, 2015 by bigdanmccarthy. Bodybuilding has certainly evolved since its inception well over 70 years ago. The images of former super heroes like Charles Atlas and Steve Reeves when compared to today’s behemoths almost make us pose the question, “did they even lift, brah?” Of course gyms, dietary knowledge, supplements, and yes, even steroids, have evolved significantly since those days. Professional bodybuilding should be considered a science as calculating macros, timing your protein, analyzing the best lifts with the right amount of sets and reps, is all part of the well planned out regime of a bodybuilder. However, like in any sport, performance enhancers, though illegal, are easily obtained and utilized for athletes to get the competitive edge and simply perform better. Now keep in mind, performance enhancers are just that, enhancers. Yes they can make you put on muscle easier, recover faster, and get bigger, but at the end of the day, you still have to eat right, train insanely hard and to be a professional bodybuilder, you have to have the right genetic makeup. So no, if you attribute a bodybuilder’s success to steroids, you are uneducated on bodybuilding and uninformed. Barry Bonds goes out and hits 70 plus home runs and everyone says it was due to the performance enhancing drugs he possibly took and the same for Lance Armstrong winning the Tour DE France. The fact is, if you trained exactly like Barry or Lance, took everything they took, you still would not beat them because they are just better. I cannot hit a baseball to save my life, if you gave me performance enhancers, I would not be able to hit it any better. 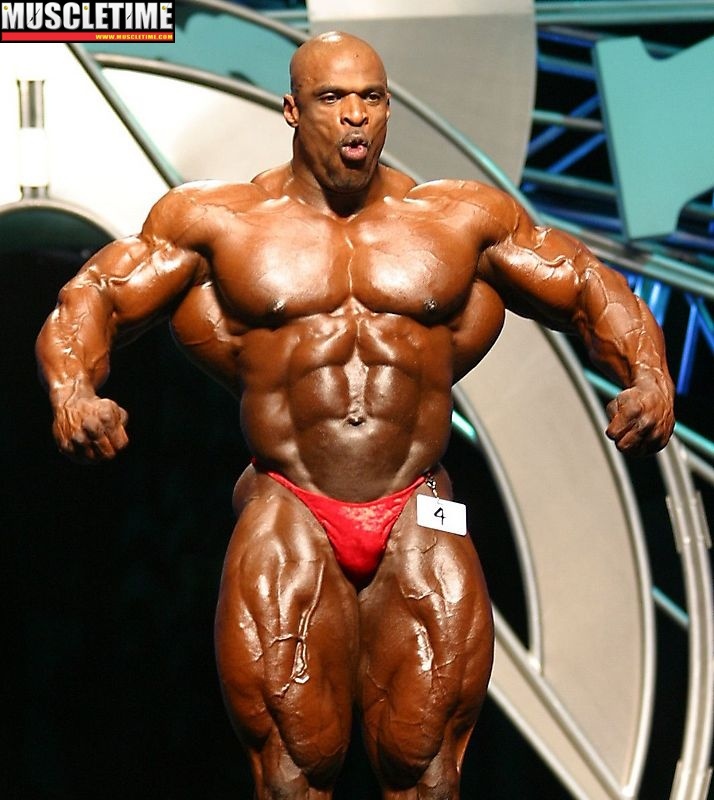 My goal in writing is not solely about performance enhancers, it is about the overuse of them in professional bodybuilding and the freakishly big, un-aesthetic physiques of today. If you are an avid gym rat, bodybuilder, power-lifter, strongman then you probably have seen Pumping Iron with Arnold Schwarzenegger and his band of lovable cohorts that meet up at gold’s gym in Venice daily to train and build the best bodies in the world to hopefully take home the Mr. Olympia trophy. Watching this movie back in 2002 I thought these physiques were unbelievable and so big, I was 19 and just really started lifting, so the thought of ever achieving a physique like that was a long way down the road. 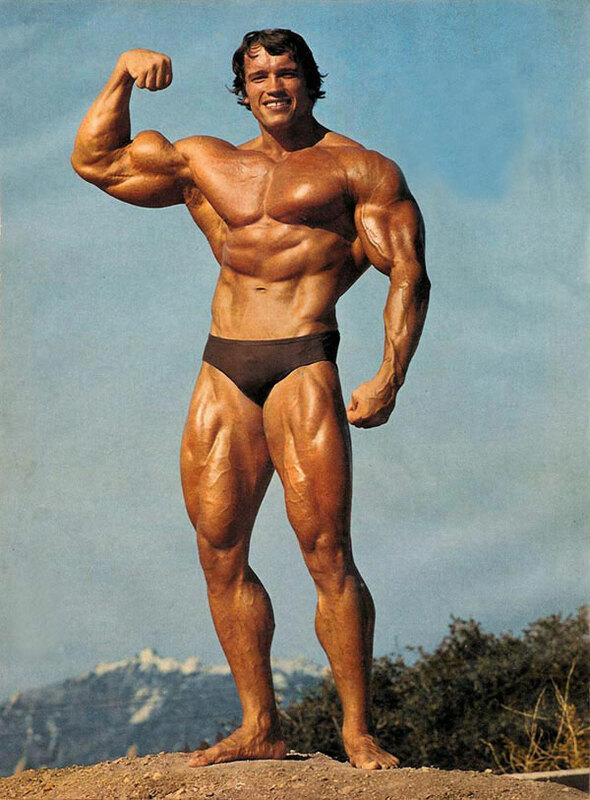 Arnold was 6’2 235 lbs at his biggest for the Olympia; he was ripped and had huge arms. In my eye, and the eye of many others, this physique is probably the most perfect to ever walk the planet. Arnold had huge arms and chest with a tiny waist and perfect symmetry, and big defined legs. Being that he was probably 6% body fat or less at 235 lbs is by no means easy, and the fact that his genetics allowed him to develop the peaks on his biceps, the perfect chest, is also helpful. As you can see from the picture below, the physique should be considered a work of art. Arnold has admitted that they used the oral drug dianabol and possibly a testosterone form as well; however, like I said before, these physiques cannot be obtained by just taking these enhancers. These physiques were born from genetic gifts, extremely hard work, and diet. While there is nothing more impressive than huge arms, a well-defined chest, and a mean set of wheels, some people are pushing for a return to a more aesthetic physique. A “founding father” of the “aesthetic movement” has to be the late youtube star Aziz “Zyzz” Sergeyevich Shavershian. Zyzz was a natural ectomorph who worked hard to put on every ounce of muscle, and with every ounce of muscle he looked ripped and shredded due to his genetic make-up. Regardless of possible performance enhancing use, the physique was very aesthetic and the women no doubt loved the ripped and not overly muscular look. Zyzz died tragically in 2011 at the age of 22 in a Bangkok Sauna. They say beauty is in the eye of the beholder so as long as people attend the Olympia, purchase the magazines, I don’t see the physique changing anytime soon. Perhaps if one of the top bodybuilders tried to come in lighter, with a more aesthetic physique to make a statement and won, then, and probably only then, would there be a move back to a more aesthetic bodybuilding competition. I don’t purchase bodybuilding magazines anymore because I know that no matter how hard I train, how much I eat, I can never be a mass monster like those guys on the current covers. An aesthetic physique seem more attainable, so I am more likely to follow a routine of a more “natural” looking bodybuilder or wrestler with a muscular but not overly done physique. I am not concerned whether or not they take a performance enhancer as that is their choice and I know how much hard work and commitment went into their physiques. We may never see a return to a more aesthetic physique unless the judges determine the distended bellies with six packs on top are no longer pleasing to the eye. Until then, train hard, train smart, and lift! This entry was posted in Uncategorized and tagged bodybuilding, diet, fitness, gym, health, nutrition, opinion, protein, steroids on June 19, 2014 by bigdanmccarthy. Green tea is said to be the healthiest drink on the planet. It’s the healthiest thing I can think of to drink,” says Christopher Ochner, PhD. He’s a research scientist in nutrition at the Icahn School of Medicine at Mount Sinai Hospital. “Green tea is beyond a super food. (1) Originating in China, it has spread all over the Asian continent and is now drank throughout the world by many people seeking to take advantage of its powerful anti-oxidative and anti-carcinogenic properties. Green tea has very high amounts of polyphenols like flavonoids and catechins which all operate as anti-oxidants. The role of these anti-oxidants is to reduce the amount of free radicals in the body. Free radicals can cause cell damage and are often the catalyst in the aging process and many other diseases. Green tea was studied and was shown to reduce the risk of breast cancer by 22% in women! For men, the results were even better! Men who drank green tea regularly had a 48% less risk of getting prostate cancer, that’s almost reducing your risk by half! There was also a study done on 69,710 Chinese women and the green tea drinkers had a 57% lower risk of developing colorectal cancer. So to sum it up, drinking green tea may significantly reduce your risk of getting cancer and prevent cell damage related to aging. The catechins in Green Tea have been proven to kill bacteria and even inhibit the growth of the influenza virus lowering your risk of infection. Streptococcus mutans is the primary harmful bacteria in the mouth that causes plaque, tooth decay, and cavities. Green tea can also reduce bad breath! Green tea can also help with Type II diabetes which affects over 300 million people worldwide it reduces insulin sensitivity and reduces blood sugar levels. One study found that you have a 42% lower risk of developing type II diabetes. Green tea has also been shown to reduce LDL cholesterol level and prevents the LDL from oxidization; green tea drinks have a 31% lower chance of cardiovascular disease. People have shown to have lost weight while taking green tea extract. Like with anything else, you have to maintain a decent diet and exercise routine. Also, too much of a good thing can be a bad thing. In large doses of green tea extract liver damage can occur. It’s important to follow the recommendations on the bottle found at your local drug store. Green tea is a must in your daily diet. It is loaded with all the health benefits and anti-oxidants you need to stay healthy and ward off diseases. It is the closest thing to a miracle herb there is! For dosing I recommend having two cups of caffeinated green tea and two cups of decaf green tea. The higher the quality of the tea, the more polyphenols it will contain, and the better the results. The local health food stores may sell green tea leaves which would be ideal for consumption. Also, keep the water of your tea about 160-180 degrees for maximum benefit and to not kill off all the polyphenols. You can also add lemon to your tea for added vitamin C! See you at tea time! This entry was posted in Uncategorized and tagged Alzheimer, cancer, dementia, diabetes, diet, disease, exercise, fitness, health, remedies, soda, summer, weight loss on June 18, 2014 by bigdanmccarthy. We have all opened magazines and have seen the sad, out of shape guy, holding a newspaper, and then next to that picture is the “after” picture of him smiling looking shredded as “fuarrk”(thank you zyzz for this word) with two girls on each arm hanging out in a pool. Of course this would all be attributed to the supplement on the page that the guy is eluding you to believe that it’s what made him look like that. Of course it would not be the Photoshop, airbrushing, possible steroid use, actual hard work in the gym, and very strict diet. If you have seen the documentary “Bigger, Stronger, Faster” you know what I am talking about, and you know for a fact that’s what happens. They even showed us how it’s done! For those of you who have not seen this fascinating documentary, I want to hopefully help you save money and refocus your attention to where those bodies, or just a healthy body is built, and that would be no other place than the gym, not the supplement store. The supplement industry is a 23 billion dollar a year industry, and is currently shares many commonalities to the Wild West. Supplement manufacturers are running wild as the FDA does not oversee it as to ensure the safety and quality of the product like they do our pharmaceutical products. So that “fat burner” you are taking, could very well just be 80% rice powder, or just a ton of overpriced caffeine. In an age when more than half of American adults are taking vitamins and supplements, it is important to look at what we are possibly putting into our bodies and just how these “miracle pills and drinks” may cause you to fall short of your health and fitness goals. This next bit is taken directly from American Aljazeera and states “Most major health bodies – including the National institute of health, The American Academy of Pediatrics, the American Deitetic Association, The Mayo Clinic, and Harvard Medical School – do not recommend supplements because their alleged benefits have failed to withstand scientific scrutiny. That last part is extremely important because it preludes to the next part from the same article that states “According to consumer reports, only a third of 54,000 supplements in the Natural Medicines Comprehensive Database have any scientifically supported level of safety and effectiveness, and 12 percent are linked to safety concerns or quality issues. Mounting evidence suggests that most vitamin supplements, including the the popular daily multivitamin may be useless — and some could even increase the risk of disease.” One could very easily be playing Russian roulette with a supplement that is useless or one that could increase disease. What is in these miracle bottles? In my 12 years in fitness and bodybuilding I’ve seen and tried a lot of things, mainly all the magazine ads of the bottles with the guys shredded as “fuarrk”, (thanks zyzz,) who were standing next to two hot chicks. In the end, none of these bottles worked and I fell victim to overpriced rice powder in a gelatin tablet with some clever marketing. I am all for people looking for lifestyle change, something to spark their interest into finding a healthier self, but once again, marketing seems to be the big bad wolf promoting expensive “Challenges” to make people think they have to have this to lose weight. I am here to tell you, YOU DO NOT! I am not saying they are bad, but you do not need these items to lose weight, once again, they get celebrities to endorse these things and it’s all a marketing ploy. Would you like to take the Big Dan challenge? I won’t charge you a dime; all you have to do is replace two meals a day with a cup of Greek yogurt and a banana, and 4 oz of tuna and an apple. Do this for a week and cut out all sugary drinks and bread and tell me how much you have lost. I can mix it up for you with many other sources of protein but hopefully you see what I am saying. As much as we want to buy into a system, we can create a much cheaper, healthier one by ourselves! Fat supplements do not burn fat; they are supposed to increase your ability to burn fat, typically by increasing your heart rate. Not only are these dangerous, but you can get the same boost from a cup of green tea and it is loaded with anti-oxidants. What should I take to help reach my goals for weight loss? First, I would recommend a trip to your doctor to do a physical and blood test to check for any thyroid, diabetes, or deficiencies. Once these tests have been completed I recommend evaluating your diet. Do you have a weight loss goal? If so, I recommend the app, my daily calorie counter. You can punch in your current weight and target weight to determine how many calories you need to achieve your goal weight. To simplify the weight loss process the formula is simple, Calories burned > Calories consumed. Track your calories, write down everything you eat. 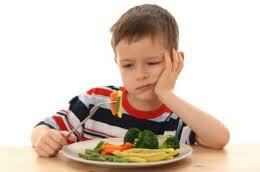 Try to consume lean protein sources, eat green vegetables and complex carbohydrates and increase physical activities. Avoid starchy foods, sugary drinks, alcohol, and be sure to regulate your carbohydrate intake. I will get more in detail with this on my next blog. The only supplements I take as a bodybuilder are Whey Protein and Creatine Monohydrate. Protein is mandatory for muscle growth and to building a lean fat burning body. Creatine is found naturally in the food we eat and his been proven to increase strength, stamina, and aid in recovery. It is critical to drink a lot of water with this supplement. The Dymatize Whey Protein I take is loaded with Branch Chain Amino acids which are the key resources for building muscle. I have pretty much tried everything else in the stores and can attest that these two products produce results. Looking for a pre-workout? Drink a cup of coffee, in essence, that’s all a pre-workout is. Don’t believe me? Look at the proprietary blend. This entry was posted in bodybuilding, crossfit, health, supplements, fitness, exercise, vitamins, remedies,, Uncategorized and tagged bodybuilding, crossfit, diet, exercise, fitness, food, health, supplements, vitamins on June 17, 2014 by bigdanmccarthy.